PRC released the January 2015 Dentist Licensure Examination results together with the list of the top 10 passers. 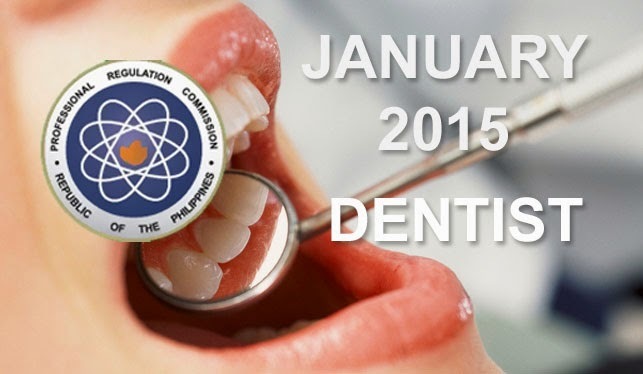 The January 2015 Top 10 Dentist board exam passers are now available on this page. Comments or suggestions about "January 2015 Top 10 Dentist Board Exam Passers (Practical Phase)" is important to us, you may share it by using the comment box below.